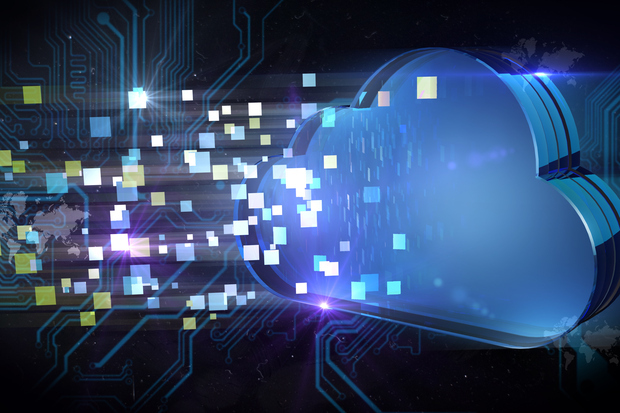 IBM has introduced new hybrid cloud capabilities for Watson to help companies to connect their data with web applications in the cloud. Watson Hybrid Cloud solution will use Watson Explorer as the default platform for application development, combining enterprise data sources in the application through a scalable environment that keep local and private data secure. With the new hybrid cloud capabilities, users can more quickly extract business intelligence from data housed in multiple environments – traditional or cloud. In addition, IBM has announced the addition of 270 new partners to the ecosystem of Watson, as well as new specialized cognitive apps in different sectors such as entertainment, energy, health and tourism in order to save time, risk, and ensure regulatory compliance. Cognitive application developers often face the challenge of where to locate the data and can not move them all to a public cloud for different reasons, either because of their huge amount, or by privacy requirements, regulations or security. Using the IBM hybrid cloud capabilities, users can quickly extract business intelligence data hosted securely in multiple environments. The platform allows companies to develop applications in seconds and with minimal configuration. Watson Hybrid Cloud solution will use Watson Explorer as the default platform for application development, combining enterprise data sources in the application through a scalable environment that keep local and private data securely. IBM Watson Analytics automates some steps of the analysis, such as data preparation, predictive analysis and visualization in an understandable way for different departments within a company, such as marketing, sales, operations, finance and human resources. IBM has also renewed its portfolio with new products that allow companies to integrate hybrid cloud solutions in their organization, and meet new workloads generated by the rise of mobile, social and analytical technologies. The new IBM Power Systems, IBM Spectrum Storage, IBM Systems z, IBM Middleware, IBM SoftLayer and OpenStack software, promise to help customers easier navigation between these environments and more valuable for the development of business information. Last month, IBM launched a new division called IBM Watson Health allowing patients, physicians, researchers and insurance sectors to deal effectively with health data. The unit offers a secure platform for open cloud for doctors, researchers, insurance companies and solution-oriented health and wellness, allowing anonymity to share and combine data concerning health companies. MarketsandMarkets, the consulting and market research firm, has estimated that the growth of hybrid cloud will reach about $ 84.67 billion in 2019. The results of this study show the increasing adoption of the hybrid cloud computing model. The main features of the hybrid cloud computing model are the standards and shared services, packaged solutions, self-service, scalable, price based on use, accessible via the Internet, standard UI technologies and publishing services and API, which result in a more efficient use of IT assets , greater agility to launch new services and greater cost efficiency. The Amazon Web Services (AWS) Pop-up Loft programme has extended to London, with the opening of dedicated office space where start ups can get free support from cloud computing experts. The Fore Street offices, close to the city of London, will be open until the end of October with the intention of bringing together developers, engineers, entrepreneurs and tech enthusiasts. AWS is offering personal help and guidance from a range of experts from both AWS and its partners, with the intention of encouraging entrepreneurs to build new systems on AWS or create their own startups. Once registered, visitors can participate in training courses, boot camps, self-paced labs, seminars or networking events. The programme will feature a number of educational strands for would-be developers. Under the Ask an Architect initiative, AWS users can book appointment for a one to one meeting with an AWS systems expert to discuss technical questions about their AWS architecture, AWS features and cost optimization. The AWS Technical Bootcamps will be free one day training sessions run by experienced AWS instructors and systems designers, with the aim of giving delegates hands-on experience using a live environment with the AWS Management Console. The free technical sessions are designed to cover development areas in which experienced instructors are rare in the cloud industry, such as mobile and gaming, databases, big data, compute and networking, architecture, operations, and security. AWS customers, partners and industrialists will also host evening sessions to share their experiences. Startups will also get the chance to hear from customers, venture capitalists and incubators. Experts in venture capital, from Seedcamp and Techstars, will be on had to offer funding and business development guidance. Intel, a supporter of the programme, will host talks and demonstrate new advances in Xeon processors and the Internet of Things. IT automation company Chef will advise on development operations. Pop-up Loft London is the third initiative in the programme after previous events in San Francisco and New York as AWS aims to help local startups to grow their businesses using its cloud services. Two thirds of the UK’s startups with valuations of over a billion dollars, including Skyscanner, JustEat, Powa, Fanduel and Shazam, now use AWS to run their services, Amazon claims. “We’re bringing some of the brightest and most creative minds in the industry to help startups across the UK,” said Amazon CTO Werner Vogels. Hammer & Chisel didn’t have much luck with its pioneering iPad game, Fates Forever. 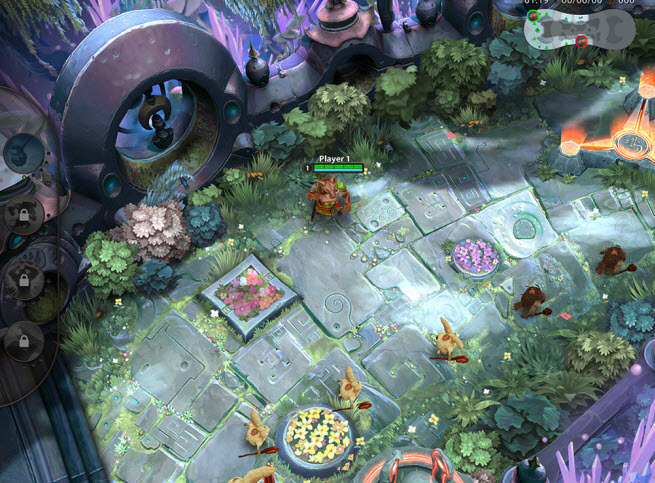 It launched last year as a mobile version of the popular multiplayer online battle arena (MOBA) games. It won a lot of praise, but it didn’t get traction with players. So Jason Citron, the founder of Hammer & Chisel, made the tough choice of shutting the free-to-play game down and pivoting to something new. It was an emotional time, but the team came through with something new, he said. 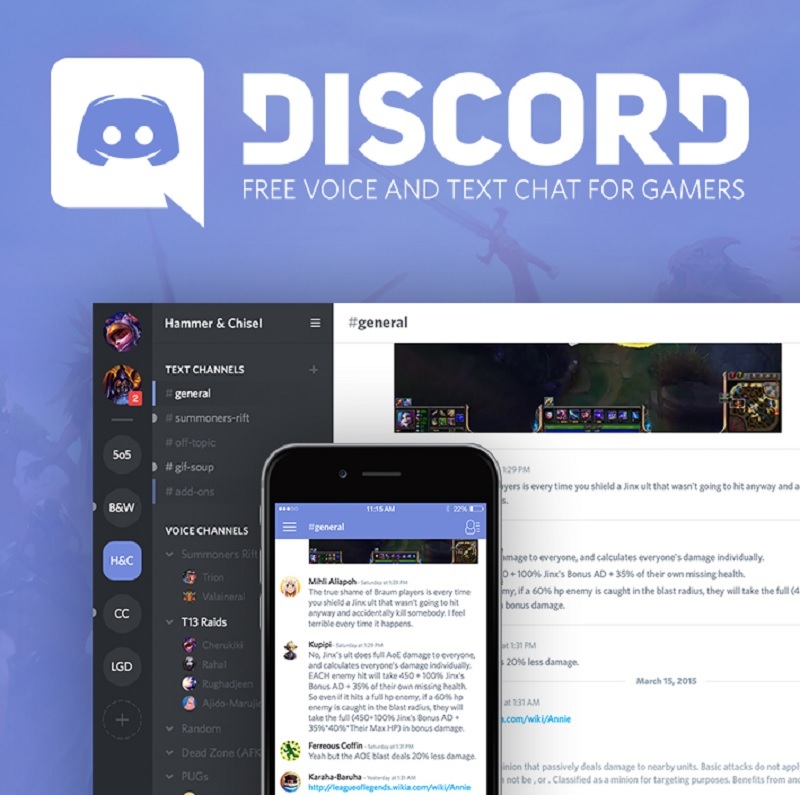 The result is Discord, a new free voice communication chat app for multiplayer mobile games. The app is in alpha testing now, and it is getting a lot of traction from players who want a reliable way to talk to team members during a game. Citron hopes it will make a splash in the $ 1.7 billion voice chat market, which is growing within the larger esports professional gaming market. “We think it’s a necessary, missing piece for the esports movement,” Citron said in an interview with GamesBeat. Citron said investors have been supportive, in part because Discord is taking off, even though it’s still in alpha testing. Citron’s Hammer & Chisel went through YouWeb’s 9+ incubator, which provided initial funding. Early investors included Accel, TWI, and IDG. Then the company raised another round of funding earlier this year from Silicon Valley venture capital firm Benchmark Capital and Chinese Internet gaming company Tencent. Citron in particular got a lot of attention for his new startup because he built Aurora Feint, later called OpenFeint, in the early days of the Apple App Store and then sold it to Gree in 2011 for $ 104 million. That was an extraordinary, fast-moving experience for an entrepreneur who had a big pay day at the age of 26. Above: Discord voice and text chat for mobile games. But with Hammer & Chisel, his first move wasn’t a success. Fates Forever had a lot of critical acclaim as a pioneering MOBA on mobile. It had a lot of attention from Apple, which featured it prominently. During the process of creating Fates Forever, the team noticed that voice and text chat for mobile hadn’t advanced. Over the past decade, there hadn’t been much progress as voice chat moved from the PC to mobile. So the team started experimenting. “Out of that, we built Discord,” Citron said. Others have devised ways to handle game communication, such as Curse, Skype, C3, Hipchat, and Teamspeak. But Eros Resmini, who handles business operations at Hammer & Chisel, said that none of them are that satisfying. In fact, you can think of Discord as a mashup of two useful tools. Citron said that Discord became popular because it has low-latency communication, or minimal delays between when someone says something and another person hears it. For much of this year, the company has been working on Discord. The networking infrastructure is built in Erlang, a technology that AT&T created in the 1980s for telecommunications. The system is spread across nine data centers around the world. The company has done tests to make sure that the latency is good. Resmini also noted that esports competitors — or professional gamers who play games for money prizes — were worried about security. With Skype, it’s easy to get somebody else’s personal internet protocol (IP) address because the communication happens peer-to-peer. Citron said that Discord works through server infrastructure, so it’s impossible for anyone to obtain another player’s IP address. If a voice server in the distributed cloud gets attacked by flooding it with data, it shifts the communication to another server. “We have special hardware on our endpoints that does distributed denial of service (DDoS) protection,” Citron said. Above: Discord for mobile game chat. Discord runs in a browser or as an app. So getting into the chat is easy, as all you have to do is share a link and type in your user name. Early reaction has been favorable for Discord. The company hasn’t spent money on user acquisition, but it is spreading via word of mouth. “We’ve thought about doing esports sponsorship deals, but it’s growing so fast on its own that we haven’t yet,” Resmini said. Over time, Hammer & Chisel hopes to introduce ways to monetize Discord. Those options include offering paid customization to players, who can pay for special “emoji” text chat or other kinds of stickers or decals. Citron founded Hammer & Chisel as a mobile-first game company in 2012. Eros Resmini, who also worked at OpenFeint, joined to help get Discord off the ground. What’s going on in the land of cloud productivity? Or more specifically, what’s going on in the land of cloud productivity, Microsoft style? As many of your know, I am fully ensconced in the Microsoft ecosystem, so stop reading now if you haven’t drunk the Kool-Aid. Uber doubled its promises of Chinese expansion when its CEO said Tuesday it will be in 100 new Chinese cities in a year. The U.S. ride-hailing giant is pushing forward in China despite intense — and capital-heavy — competition from Didi Kuaidi, the homegrown, newly-merged company that has raised Uber-sized funds to hold on to its lead in China. The ride-hailing app steamrolled America, but the easy-win days are over. Its path to global conquest now has to go through well-financed and battle- hardened rivals that have seen Uber coming–and know how to beat it. Develop an understanding of the economics and architecture of various cloud computing models.